One of the most beautiful cities in Colombia, with over a million inhabitants living right on the Caribbean Sea, Cartagena de Indias, or simply Cartagena, was named after the famous Spanish City of Cartagena which, in turn, takes its name from Carthage, the great merchant city that once rivaled Rome itself. The meeting venue, Las Américas International Convention and Exhibition Center, is the only hotel in the city that combines 251 Caribbean style rooms and 279 rooms in a modern, 10-story tower, with a convention center that offers 6,356 square meters of flexible space. 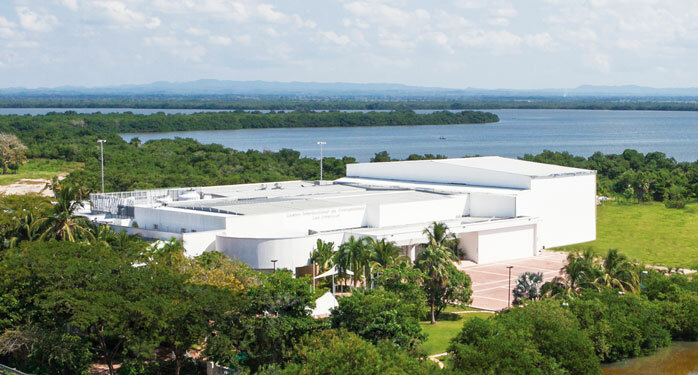 The Centro de Convenciones Las Américas has a variety of rooms with different settings and capacities ranging from 900 to 5,000 guests: Salón Nueva Granada, Pabellón La Santa María, Plaza Mayor and Plaza de la Independencia, besides portals and gardens.